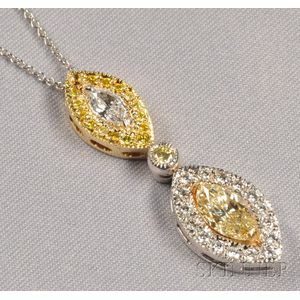 Diamond and Colored Diamond Pendant, prong-set with a marquise-cut fancy yellow diamond weighing approx. 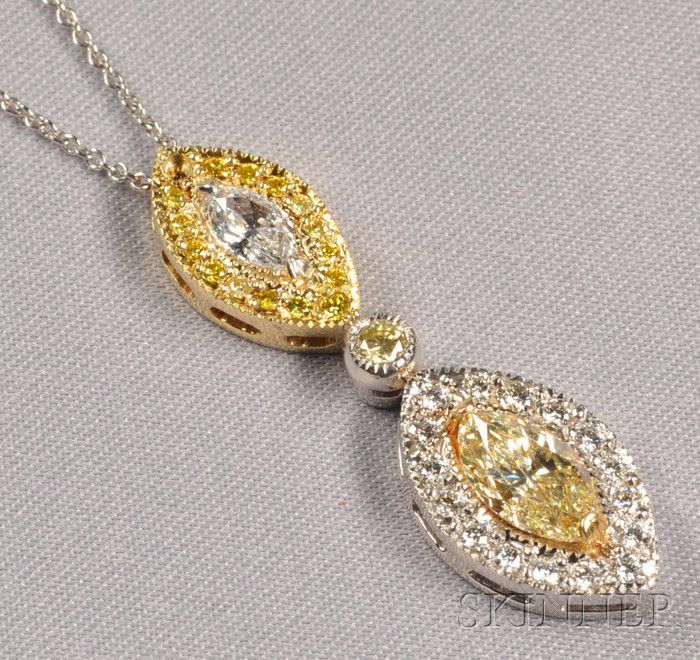 1.50 cts., further set with marquise and full-cut diamonds, approx. total wt. 2.70 cts., platinum and 18kt gold mount, millegrain accents, suspended from trace link chain, lg. 18, 1 1/2 in., (one melee missing).